Due to their special insulation, the Winter Roosts 1WQ and 1WI are suitable as a place for building-inhabiting Bat species to live not only in the winter but also in the summer. 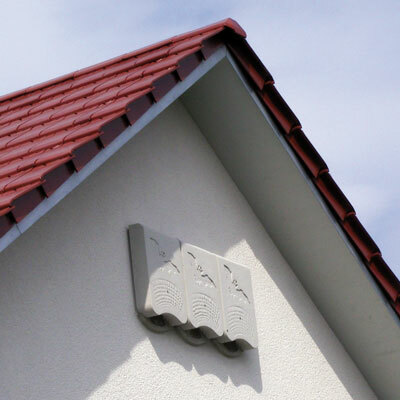 Thanks to the patented double-panel system, these roosts are suitable for winter. This system has been used successfully for many years in our Bat Hibernation Box 1FW for forests and woods. Together with the insulation material used, the design ensures excellent insulation properties while at the same time remaining very breathable for decades. Both roosts have been improved continuously in lengthy test series. They are self-cleaning and are therefore maintenance free. These all-year round roosts are made for safe colony and nursery roost formation in the summer and for safe winter hibernation of the animals. Installation: On façades, 3 m and higher. Ensure unobstructed approach and departure. Typical building-dwelling Bat species are, among other things: Pipistrelle, Serotine or Particoloured Bats. 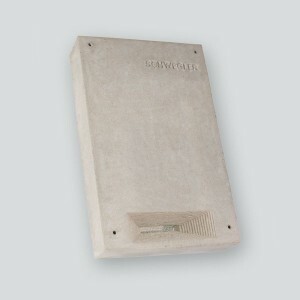 The two-piece 1WQ model is attached to the surface of a building façade. 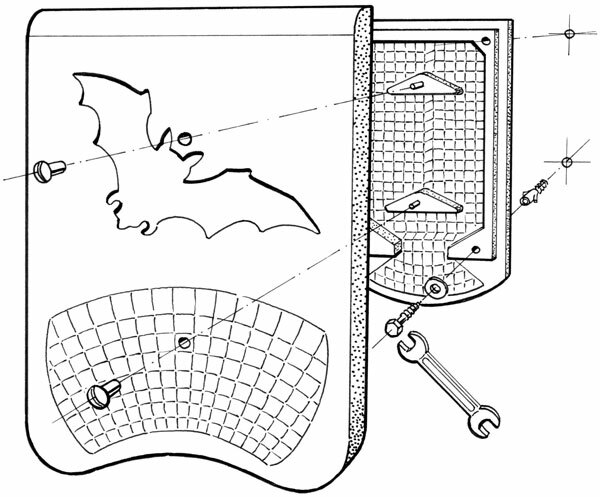 The bottom section is screwed onto the wall first and is then closed off with the top section (with the Bat silhouette). This means that the mounting screws are no longer visible later. Occupants: Typical house-dwelling Bat species are, among others: Common Pipistrelle, Serotine, Parti-Coloured Bats and, provided corresponding distributions exist in the roost installation site, Noctules or Bechstein’s Bats. Interior: The interior is fitted with various surface textures and structures at different hanging depths. This not only has climatic advantages, but also helps the individual species to find a hanging site most suitable for them. Special niches are built-in inside the roost, creating a kind of labyrinth. It is therefore ideally matched to the needs of the animals, both in the winter and in the summer. Exterior: The top of the two-piece roost is has a visible Bat silhouette on the surface. Below this is the structured approach area, which offers the animals good foothold options. The generously sized step-shaped entry area accelerates acceptance, for example, including for inexperienced young animals. Colour and colour changes: The 1WQ is supplied with a weather-resistant, light-grey coating. If necessary, it can be adjusted using a standard breathable façade paint, for example, to match the substrate colour. Please only use breathable concrete paint, as otherwise the function of the roost can be limited. Material: Weather resistant and breathable lightweight concrete with innovative shape so that it can be used for decades of successful nature conservation. All metal parts with which the animals come into contact are made of rustproof material. Maintenance: Self-cleaning and therefore fully maintenance-free. Siting: From 3.5 m and higher. Ensure unobstructed approach and departure options. Suitable locations: Any type of buildings, regardless whether they are built from concrete, brick or timber. 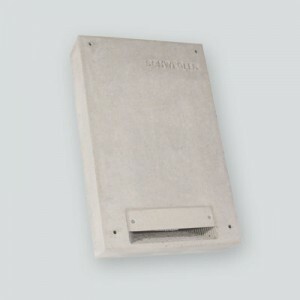 Also suitable in and on historical walls, road structures, industrial buildings or residential houses. 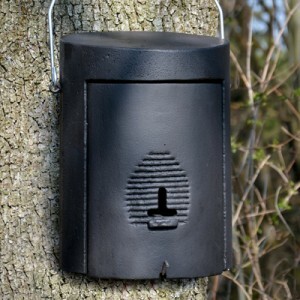 Installation: The twp-piece roost is installed using the four screws/plugs supplied. 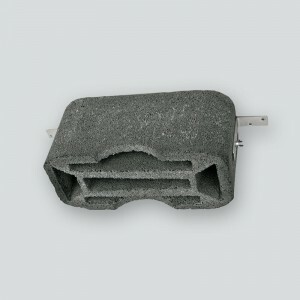 These are designed for standard masonry and concrete walls. Use the screws without plugs for installation on wooden walls/beams. Note: Please check the suitability of the fixings provided on site, as particular building materials may need other screw/plug combinations. Dimensions: W 38 x H 58 x D 12 cm. 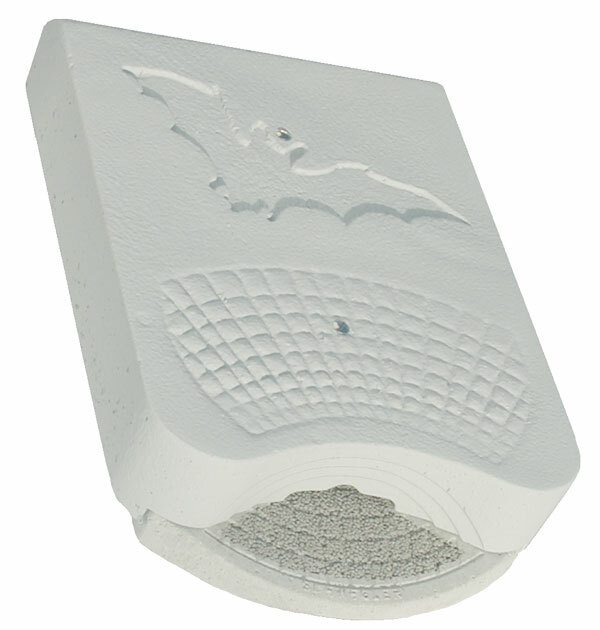 Note: Alternatively, as a winter roost, for flush installation in the façade, our Bat Winter Roost 1WI product is suitable.